Over the past five years, wearable tech startups have had a huge impact on the industry whether it's companies like Misfit, Pebble and Withings being acquired by more established names or the likes of Fitbit and Jawbone leading the way before Apple, Samsung and Google got involved. When it comes to investment, media stories usually focus on whether stock prices are going up or down after a big product announcement. In order to get the wider investor perspective on wearable tech, I recently had the opportunity to chat with three investors, to find out more about trends, opportunities and challenges within wearable tech, VR and AR in Europe, Asia, Canada and the US. As I write this, there are 859 wearable tech companies and 706 investors globally listed on AngelList, and it goes without saying that the majority of these are based outside of Europe. Why? Well, one of the obvious reasons is maturity of the tech ecosystem elsewhere, which inevitably means more money to invest, and of course less risk averse mindset of the investors. As a tech startup founder myself and after having conversations with dozens of investors over the last year or so, it regularly appears that US based VCs are more focused on the potential of your company and are afraid of missing out on the next big thing, especially if it's within the "emerging tech" space. European investors meanwhile are much more cautious, risk averse and interested in your current "numbers", traction and potential loss if they misjudge the opportunity. It's not a secret that European IoT, particularly the health and wearable tech investment scene, lags some way behind the US and Asia. Every founder who's building a business within this niche will tell you this. Despite financial incentives like tax relief for investors who purchase new shares in startups and higher-risk companies, including raising money via equity crowdfunding, few hardware IoT companies in the UK and Europe raise rounds that go beyond seed or Series A stage - even Series A is a long shot. Karen Winton is a managing partner of Nest in London. Nest Ventures is an early stage venture capital firm specialising in startups developing impactful world-changing technologies. With representation in Singapore, Bangkok, Nairobi, Paris, London, New York and Los Angeles, Nest has built a network enabling startups to maximise opportunities, scale and connect with the global ecosystem. "At Nest, we are entrepreneurs helping entrepreneurs and I try not to lose sight of that because I know what it feels like not to have support when you need it most," explains Winton. "We're looking for early stage B2B and B2B2C startups in fintech, healthtech and smart cities that have an Asian growth strategy in their business plan from day one." When it comes to health tech in particular, Winton says that investment in southeast Asia is driven by macroeconomic and demographic trends such as rapidly expanding populations in historically underserved areas, "pivoting from high-cost treatment to low-cost preventative healthcare, medical big data and analytics, remote monitoring, personalised medicine and remote diagnostics." Super Ventures is investing in early stage startups that are developing fundamental technologies in augmented, virtual and mixed reality. Tom Emrich, a partner at Super Ventures, told us that its investment decisions are shaped by six specific areas of interest: "bionic vision (solutions that will help us get tech on our face), 3Difying the world (mapping, scanning, tracking etc. ), world creation (3D creation tools etc. ), input and output and natural interaction (new peripherals, biometrics), super intelligence (such as enterprise AR platforms) and telepresence (social, collaboration and communication AR solutions)." Since it was founded in early 2016, the San Francisco based Super Ventures has invested in "eight startups so far from all over the world including Canada, the UK, Israel, Australia and the US." Some examples of recent investments include UK based Massless Pen, a VR pen focusing on input, output and natural interaction), Canada based virtual human platform Quantum Capture and analytics platform Cognitive VR. Super Ventures has also invested inNitero (a Wi-Fi chip that untethers AR and VR, recently bought by AMD) and emotion tech platform Lightwave. Israeli Frigefy (visual search for mobile devices and wearables) and Asutralian startup Forcite, a smart wearables system currently focused on smart helmets, complete this first cohort. Alan Clayton is accelerator program manager and mentor at HAX, an accelerator built to support hardware startups, based in Shenzhen (Seed Stage Program) and San Francisco (Growth Stage Program). HAX is a part of SOSV, a global fund with more than $250m of assets under management, with over 400 companies in their portfolio, more than 150 startups graduating in one of their programs each year, and a staff of nearly 50 people operating in the areas of hardware, software, biology, food, robotics, medical devices, transportation and green energy. "We invest around $50m a year, made up of 100+ 'pre seed stage investments'. 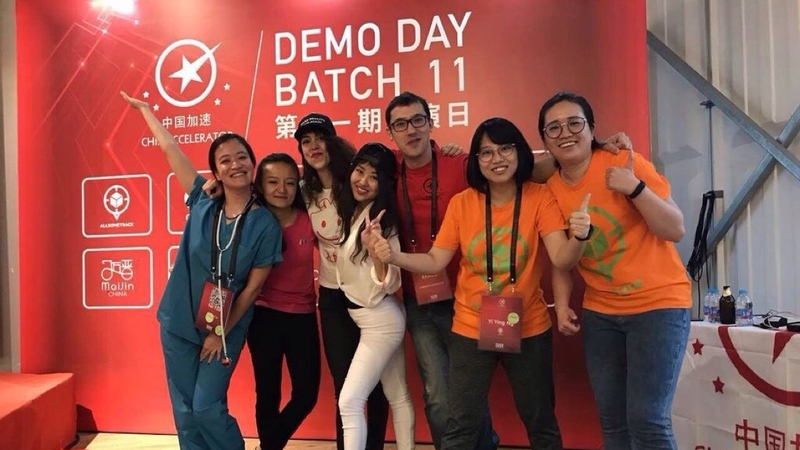 Sounds grand, but all it really means is we select groups of 10-15 teams for each of our accelerator programs; give them between $50k - $200k depending on the program, take them to Shenzhen, San Francisco or Cork, and provide a 'masters-degree-plus' worth of real life startup experience in just 100 days," explains Clayton. According to the Crunchbase Women in Venture report 2016, SOSV ranked #1 when it comes to investing in female founded startups at this earliest of early stages. And whilst the report shows that these teams outperform their 'boy band' equivalents, there's more to it than that. "Female founders often bring magic powers to the lab or workshop. And the power to actually get things done. In my experience - and that's now over 1,000 founders - women bring less ego to proceedings as well as impressive resilience," says Clayton. And he has plenty of stories to back up his theory. "Rhona Togher & Eimear O'Carroll at Restored Hearing in Dublin have seen it all," he says. "Fearless women facing down the chemicals and aerospace industry on a shoestring including a recent fundraising where 'boy band' investors signed term sheets, and then broke their own written promises in favour of buying a shiny new car. The company moves on, working with the likes of BASF and Boeing, leaving the boys looking a bit sad. "One of the best performing HAX teams has been the female led RayIOT. Three amazing ladies from India, taking military style radar technology into the bedroom, not to look for lost socks, but to take contactless care of tiny children." Some of the most well known wearable tech and health tech companies are led by women, like Urska Srsen, who is co-founder and CPO at Bellabeat, Stephanie Alys, co-founder at MysteryVibe, and Tania Boler, co-founder and CEO of Elvie, to name a few. But most venture capitalists and entrepreneurs are men, with female entrepreneurs receiving $1.5 billion in funding last year versus $58.2 billion for men. Encouraging female founders to raise money via equity crowdfunding platforms like Crowdcube might be one of the possible solutions for this problem. Nest's Karen Winton says that it should be easier to women to access early stage funding for their ideas: "I hear the same old refrain about how women only start lifestyle businesses; how women don't do tech. Really? And so what if it's a lifestyle business? What about the innovative tech that underpins it?"